With sales and finance experience gained in both the motor and financial service industries, Roger joined AJW in 1997 as Financial Controller. From there he subsequently moved to a sales management role, ultimately taking responsibility for developing AJW business in Russia and CIS region, as well as Eastern Europe. 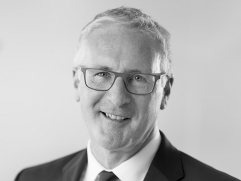 Roger now additionally has responsibility for Middle East and Africa, directing sales across all Group divisions as Head of Group Regional Sales – CIS EE & MEA. After graduating from the Marine Academy and State University in Kaliningrad with a degree in Engineering, Evgeniy pursued a career at sea as Chief Mate on a number of heavy lift vessels. He then joined local airline KD Avia as a contract expert before holding roles at Nordavia, Storm Aviation and eventually Transaero Airlines, where he was Director of Material Support. 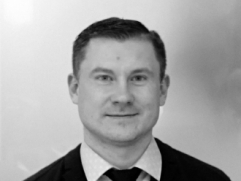 Evgeniy joined AJW in 2016 and now oversees the development of sales opportunities for the company's diverse portfolio of customers in the region as Head of AJW Russia. 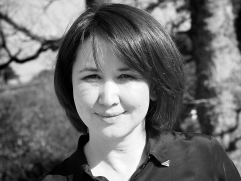 Tolkyn joined AJW at the beginning of 2009 from Air Astana and is based in Kazakhstan. Her role focuses on developing AJW's business in Central Asia, including Kyrgyzstan, Uzbekistan, Tajikistan, Kazakhstan and Mongolia. Tolkyn has previously held management position in Air Astana as Technical Contracts & Supplies Manager. She got her MBA degree in 2003 at International University of Management, Economics and Strategic Research in Almaty, Kazakhstan and her previous educational background includes Architectural & Construction College and Dzhambul Technological University in Almaty, Kazakhstan.